Dr. Clayton Chan speak at Leading Dental Organizations and Study Clubs in North American and Internationally. He is both a practicing clinician, mentor, leader and teacher to many. (Also see his Schedule of Courses). To schedule Dr. Chan for a speaking engagement, contact Jane his lecturing coordinator at: jane@drclaytonchan.com. 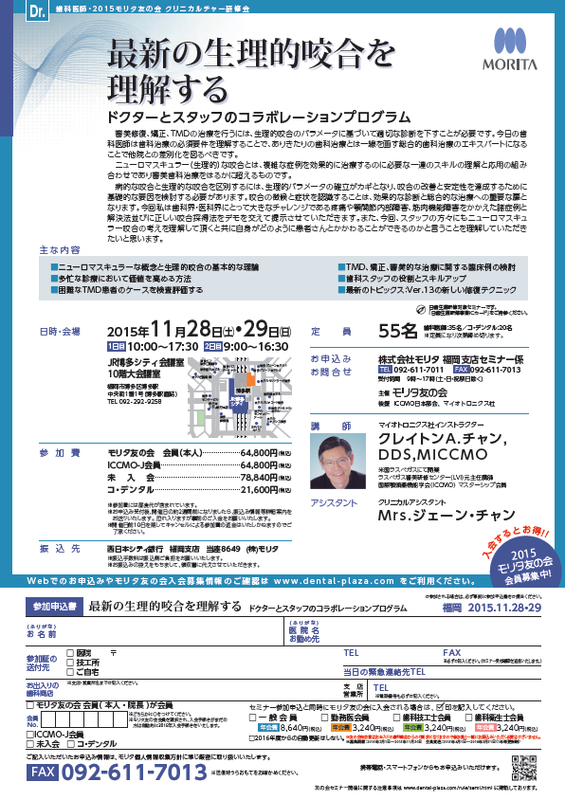 NMD/ J. Morita Japan Lecture 2015, Southern Japan, Kumomoto region. How to diagnose occlusal problems.